Eco car show details announced | What Car? You can test the most eco-friendly and fuel-efficient cars at a green car motor show to be held in London this September. The Ecovelocity event at London's Battersea Power Station and will have electric cars, hybrid cars and the most fuel-efficient models from the likes of Citroen, Fiat, Ford, Honda, Hyundai, Kia, Mitsubishi, Nissan, Peugeot, Renault, Seat, Vauxhall and Volkswagen. 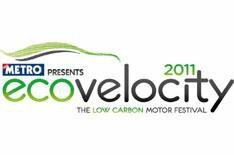 Visitors to Ecovelocity will be able to drive the green cars around a specially constructed circuit. There will also be the What Car? catwalk parade, where we will present the best eco cars in each category. The event takes place between September 8-11. Find out more at www.ecovelocity.co.uk. We will also be announcing the winner of our prestigious What Car? Green Car of the Year Award at Ecovelocity.